William "Rick" Singer leaves Boston Federal Court after being charged with racketeering conspiracy, money laundering conspiracy, conspiracy to defraud the United States, and obstruction of justice on March 12, 2019, in Boston. 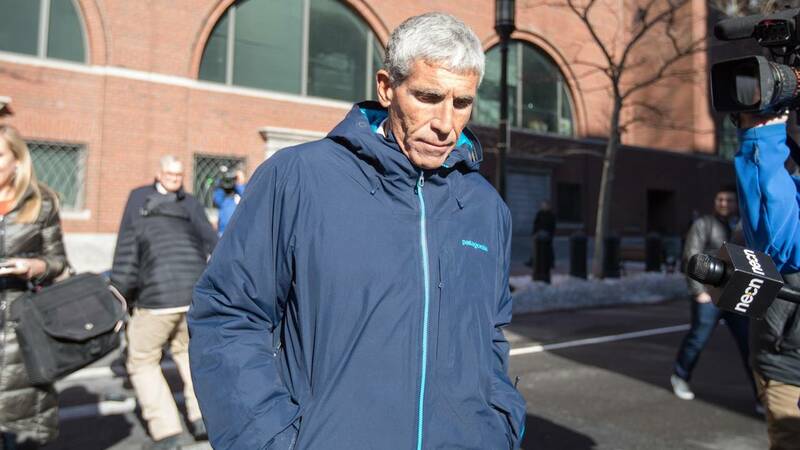 (CNN) - Rick Singer called up his client, the wealthy parent of a college student, and went into his prepared lines. Singer was definitely not going to tell the IRS that the money was actually for cheating on the SATs or ACTs, he said. Nor would he mention that the parent's money truly went toward bribing college coaches in order to falsely get their children into elite universities. Instead, he would tell them the money was for charity. Sound good? "Perfect. Got it," one parent responded. "Of course," another parent told him. "I think that's the --- the proper tact, for sure," a different parent said. As part of his cooperation, Singer made 20 such calls to clients at the direction of law enforcement from October 23 to 27, according to the criminal complaint, a veritable sting-a-thon operation that gifted prosecutors confirmation of the parents' knowledge of the scam. In one November 29 call, Singer told Agustin Huneeus, a Napa vineyard owner, that he was not going to tell the IRS about Huneeus' $50,000 payment to cheat on his daughter's SATs. Singer said he wanted to make sure they were on the same page and that the money went to underserved kids, the complaint states. "Dude, dude, what do you think, I'm a moron?" Huneeus said, according to the complaint. "I got it, [Rick ]-- I got it," he allegedly added. "I'm going to say that I've been inspired how you're helping underprivileged kids get into college. Totally got it." "I mean, I love the work you're doing, and love the fact that you help take care of these kids and inspire them and go out into the communities," Palatella said, according to a transcript in the complaint. "It was a year we could afford to do it. That's -- which is not even true, but -- (laughs). We made sure it was." However, using someone with Singer's checkered history as the focal point of these sting phone calls did not always go smoothly. That latter charge came in October -- a month after he began cooperating with investigators -- because he warned several of his clients that if they received a phone call from him it would most likely be recorded. Singer admitted during his court hearing that he told the father of one prospective candidate he was wearing a wire and that they shouldn't say anything illegal. "You haven't done anything wrong yet so please don't say anything that would be harmful to you guys because you haven't done anything, which was absolutely illegal," Singer said. "Wait [inaudible], wait," Sloane allegedly said, "let me ask you a question, shouldn't we get together for a coffee over this as opposed to over the phone?" Singer responded "Whatever you want to do I'm fine." The complaint does not say whether or not they actually did meet up for coffee. On that call, Singer told Stephen Semprevivo, a sales executive in Los Angeles, that Georgetown was looking into why students like Semprevivo's son who were not tennis players had been accepted as recruits. "You know, all I know is that we, you know, we used you for the charity stuff and we used you for the counseling, and your dealings are your dealings," Semprevivo said, according to the complaint. Singer attempted to clarify the issue: "You don't agree that we got him in through tennis and you didn't know that [inaudible]?" "I don't. I don't. I do-- you know, you did what you did, [Rick], and that was your stuff. Okay?" Semprevivo allegedly said.